This mostly female fife-and-drum band is shown at the Māori King movement settlement of Waahi, at Huntly, Waikato. 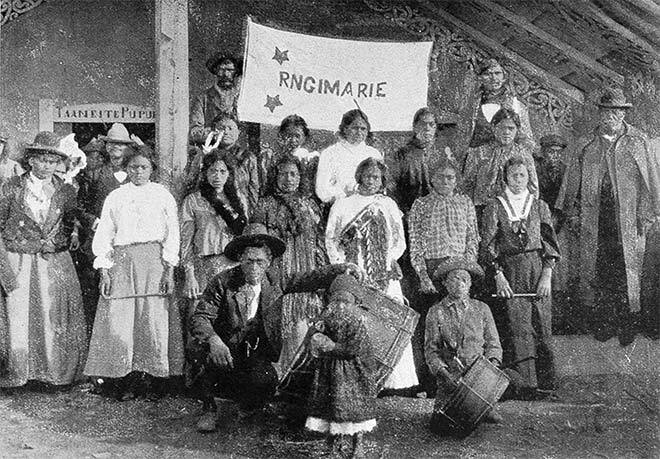 This band welcomed Native Minister James Carroll to a hui at Waahi on 20 May 1902. The folded banner reads 'Rangimarie', a Māori word meaning peace.